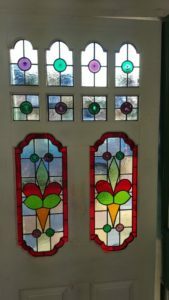 Simple Victorian geometric design can work very decoratively in windows on the side of a home and it obscures the view of next door at the same time. 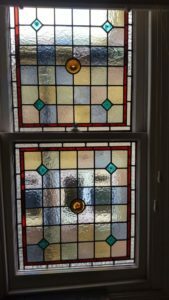 We fitted this stained glass in a bathroom in London SW11 this week. With lots of homes extending into their roof area, creating an extra stairway window is a great way to make the stairway look lovely. It also obscures next doors house. 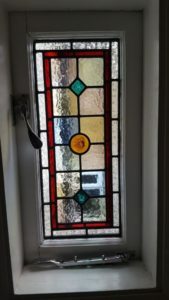 In this case the window ties in with the design and glass already in the original stairway, hall and front entrance stained glass lower down in the house. 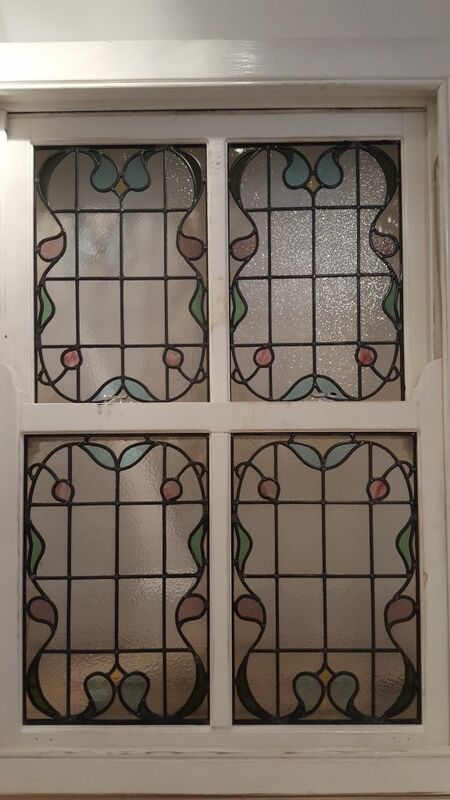 This is to be fitted this week in an Edwardian home in Hampton. 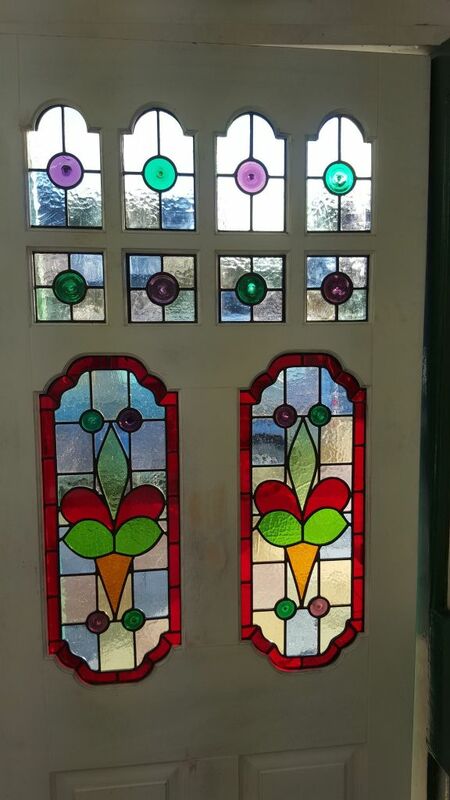 This is another one of our set of stained glass in an Edwardian door on the Southfields grid London SW18 fitted this week. It replicates the original design, glass colour and texture use as closely as possible. 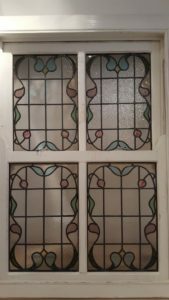 To see more of our Victorian Stained glass, please visit our Victorian Stained Glass gallery and to see more of our Edwardian stained glass, please visit our Edwardian/Art Nouveau Stained Glass gallery.